Movies are story. Movies are about story. Great movies are about great story. Usually. Since the late 1990’s we’ve seen an explosion in capability from the Hollywood studios. Special effects continue to mature, and viewers expectations do as well. Can you imagine another Avengers franchise film without great special effects? Think of all the movies that are only possible because of current special effects capability? I have a couple of movies on our DVR that could probably be deleted but I’ve watched several times this year, attempting to unpack what went wrong. Maybe wrong is a bad word, but at least sideways. Why weren’t these movies smash hits? Why didn’t they shoot up in the sky? These two particular rotten tomatoes are Seventh Son and Dracula Untold. This film, probably more so than the other, embodies my concern. Jeff Bridges, Alicia Vikander, Ben Barnes, Julianne Moore, Kit Harrington, Djimon Hounsou. Talk about a cast line up. The special effects department didn’t spare expenses either. Lots of magic, creatures, superbly made fight scenes. But…. mweh. I’m guessing they probably made back their budget (according to IMDB, they did in worldwide sales), but this isn’t exactly the next Lord of the Rings. Admittedly the cast isn’t quite as A list. Still good, but really the lead actor, Luke Evans, is about it. And according to IMDB, it looks like they did slightly better in profits over their modest budget. But again, not exactly a movie that feels like it nailed a spike in its genre as the “it” movie. I think the reason neither film really captures your heart lies in a two-fold problem: story and character development. 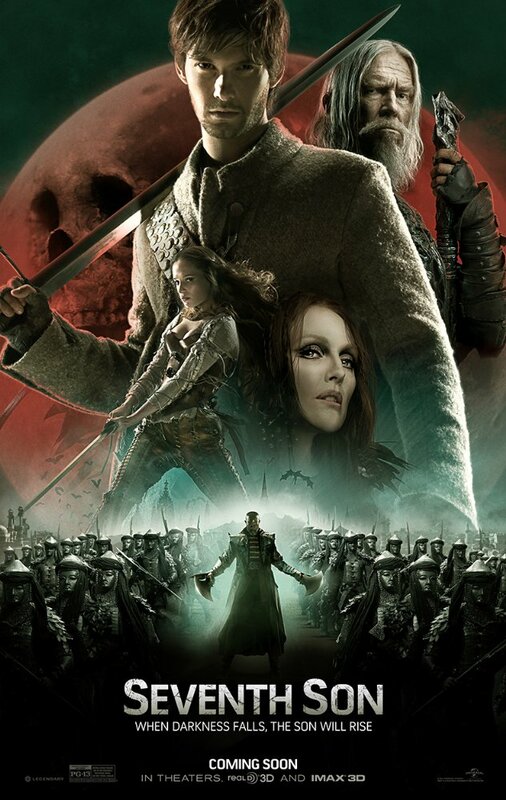 Seventh Son’s story feel terribly derivative. I like the elements they put together, like interesting lieutenants, shapeshifting witches, and a very detailed training scheme. But the overall “Hero’s Journey” and interpretation feels like Frankenstein: cobbled together from every fantasy novel and movie over the past decade. Dracula Untold is at least a unique take on an old story. Each time I watch I look for evidence of character development, of changes in outlooks, attitudes, capability from beginning to end. It’s either a case of too obvious a change, or too subtle. Worse, in some cases they just don’t change at all. This isn’t some diatribe on the film industry, or on these particular films or their writers. I’m not saying “Oh gosh, even I could do better than that!” Simply a snapshot into one aspect of being a writer: dissecting stories to find out what works and what doesn’t. What lesson can I learn? Where’s the arc? What’s the inciting incident? The payoff? The three-act story? The hook? I’ll probably keep them on the DVR. I’ll probably watch them on those weekends my wife is away. At least until the percentage of memory gets challenged and it’s a decision between Seventh Son and The Walking Dead. Because good writers are always looking for good stories.